Stop Parkin' Start Livin' if you have a diagnosis of Parkinson's Disease? Did You Know Recovery From Parkinson’s Disease is Possible? Four years later John Coleman ND was symptom free.He has now helped countless individuals with Parkinson’s find relief from their own symptoms. Is it easy to recover from Parkinson’s? Is it possible to recover from Parkinson’s? 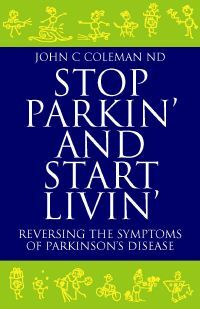 John Coleman ND talks about how he recovered from Parkinson’s disease in his pioneering book Stop Parkin’ and Start Livin’. He is the first to say there is no cure for Parkinson’s. No magic bullet exists. The key is to find relief for symptoms and give the body time to heal. John Coleman initially experimented with a variety of modalities to heal his Parkinson’s symptoms. He was so sick he was willing to try anything. Some of the therapies he pursued were not effective. Others were. Stop Parkin’ and Start Livin’ tells all about what John Coleman ND did to recover. 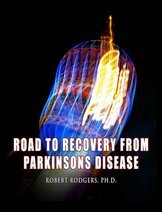 The book offers the same recommendations John Coleman offers to his own patients now who are diagnosed with Parkinson’s. The information in Stop Parkin’ and Start Livin’ can help put anyone with Parkinson’s on the path to recovery. Why did John Coleman write Stop Parkin’ and Start Livin’? John wrote the answers to all these questions and more in his book so that the information is now accessible to anyone. His goal is to help as many people recover from Parkinson’s as possible. What should I eat? – Stop Parkin’ and Start Livin’ explains why diet is critical to recovery. John Coleman ND identifies the best foods to eat if you have Parkinson’s. Information about foods to avoid is also previewed. Eat well and it will make all the difference to your recovery. How in the world can I exercise when any movement is a challenge? – Exercise is critical to recovery. When mobility is a challenge, how do you even begin to exercise? Stop Parkin’ and Start Livin’ illustrates exercises that can be done by anyone with limited mobility. How can I know if I am getting better? – A huge challenge with recovering from Parkinson’s is to know whether or not you are experiencing true relief from symptoms. After all, symptoms in most people shift from day to day. How can you motivate yourself to do what is necessary to heal if you do not know whether you are getting better or worse? Stop Parkin’ and Start Livin’ gives you ways to track symptoms so that you are able to acknowledge to yourself each and every day that you are on the road to recovery. Are there products I use every day that might be making my symptoms worse? – It is well documented in the research literature that a contributing factor to Parkinson’s is exposure to toxins. Toxic exposure may be closer to home than you realize. There is a good chance that common household chemicals in your bathroom or kitchen cabinets may be contaminating your body with harmful toxins. Stop Parkin’ and Start Livin’ shows how to identify which common, household cleaning agents and chemicals are toxins and should be discarded. Author John Coleman ND also explains how you can find soaps, deodorants, toothpastes, perfumes, make ups, skin cleansers and moisturizers, hair shampoos and conditioners and dental care products that are safe and non-toxic. What do I do about the harmful chemicals and toxins that are already in my body? – Ok. So Parkinson’s is, in part, caused by toxins. So what? How do I get rid of toxins that are lodged deep within the cells of my body? When your body is adequately hydrated, toxins will be released. How do you hydrate your body? Stop Parkin’ and Start Livin’ introduces a revolutionary homeopathic remedy for dehydration. John Coleman ND attributes his recovery in part to a homeopathic therapy for dehydration – the Aquas. Once the body is fully and completely hydrated. toxins will be released. John Coleman ND explains that as toxins are released, symptoms do improve. What really causes Parkinson’s? – What has happened in your life that has contributed to your Parkinson’s? John Coleman ND had Parkinson’s himself and subsequently recovered. He offers a unique perspective on the underlying cause for Parkinson’s. It is the key to his success in being able to recover. John identifies the underlying cause for his own Parkinson’s. Once he was able to make the cause conscious he was able to heal it. 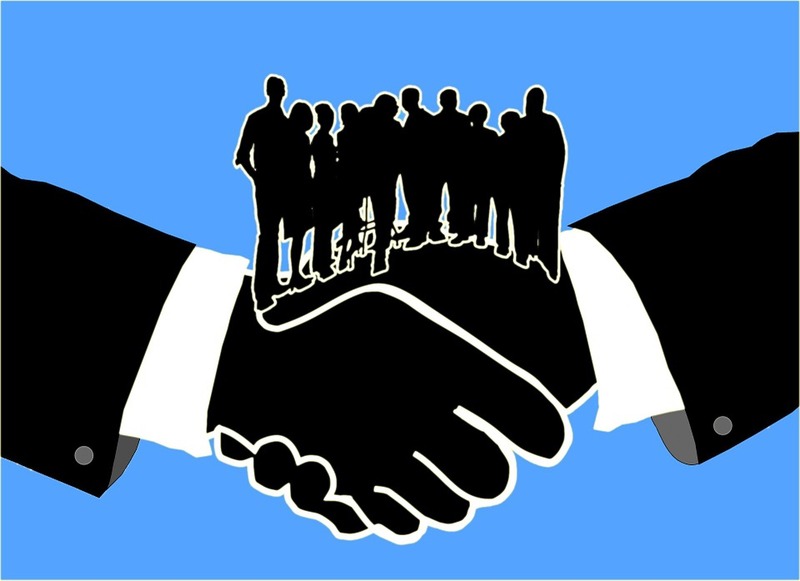 By explaining his process, he provides a road map for all others to find the underlying cause for themselves, to make it conscious and to heal it. A variety of modalities are explained that offer ways to address the underlying cause of the disease. I have questions about my medications – It is a very large challenge for anyone with Parkinson’s to track the side effects of medications. What are the side effects? What should be the time of dose? Can I vary the dose? How do I preserve the potency of l’dopa? Stop Parkin’ and Start Livin‘ answers all of these questions and more. What is the connection between stress and Parkinson’s? – Prolonged stress and unresolved trauma trigger reactions that create the conditions for disease. Stop Parkin’ and Start Livin’ offers extensive information about how the stress cycle works and the role stress plays in contributing to the symptoms of Parkinson’s. Everyone knows stress causes problems for people. Stop Parkin’ and Start Livin’ offers realistic ways to relieve the stress in your life. When stress is relieved the body has an opportunity to bring all the hormones back into balance. How is Parkinson’s diagnosed? – What are the symptoms of Parkinson’s? Stop Parkin’ and Start Livin’ explains how Parkinson’s Disease is diagnosed and identifies all of the possible symptoms that can be associated with it. Stop Parkin’ and Start Livin’ is the perfect resource for anyone who is determined to find ways to help themselves find relief from the symptoms of Parkinson’s. After all, the book is written by a man who himself was determined to find ways to heal his own Parkinson’s Disease. Side effects of the drugs used to treat Parkinson’s. Recommendations for retaining the potency of l’dopa. The diet that promotes recovery from Parkinson’s. Exercises that anyone with limited mobility can perform. Methods to track your progress toward recovery. Common household chemicals and cleaning agents in your home that contribute to the symptoms of Parkinson’s. Ways to reduce the stress in your life that contribute to the symptoms of Parkinson’s Disease. How to hydrate your body to release toxins that are trapped at the cellular level. The underlying cause of Parkinson’s and how to heal it. I am so encouraged by what I have read of you so far. I see hope again.J.N. Thank you for writing an inspirational and informative book. It is very helpful.K.O. Feeling hopeless, helpless and depressed? These are normal reactions, given that most people are told when they are diagnosed that their symptoms will inevitably get worse. While some people do get worse, this does not have to be true for you. Stop Parkin’ and Start Livin’ was written by a man who knows recovery is possible. It is not easy to recover. It takes time. It takes patience. It takes dedication. But recovery is indeed possible. What do you Receive when You Purchase the Computer Download for Stop Parkin’ and Start Livin’? You will receive one hundred and eighty nine (189) pages of information that explains what you can do for yourself to recover from Parkinson’s disease. The book comes to you as a PDF file that is a download to your computer. 100% Money Back GuaranteeIf you are not fully and completely satisfied with the wealth of information provided in Stop Parkin’ and Start Livin’ at only $24.95 we will be happy to provide you with a full refund – no questions asked. You may obtain a full refund for any reason within 60 days after purchasing Stop Parkin’ and Start Livin‘. Stop Parkin’ and Start Livin’ does not offer a quick fix to the symptoms of Parkinson’s. It does provide the tools and approaches that will create the conditions for the hormones in your body to come back into balance. It took John Coleman ND over three years to recover fully. Purchase his book today. Find out the details of how he recovered and the advice he gives to his own clients who are intent on recovery. If you do not start on the road to recovery today, when will you start? There is no better time than now. The computer download of Stop Parkin’ and Start Livin’ is priced at $24.95. Purchase the download to your computer by clicking on the “Buy Now” button below. Get Stop Parkin’ and Start Livin’ today and find out what you need to do for yourself to start on the road to recovery from Parkinson’s disease. You can order a paperback version of John Coleman’s marvelous book by visiting Amazon which offers several sources. Additional shipping charges are typically required which can make the download version a more economical choice. P.S.- John Coleman ND recovered from Stage IV Parkinson’s. Why not find out how he did it?